ACURO's HCL ACID INHIBITOR is a concentrated inhibitor blend designed to inhibit hydrochloric acid corrosion during acidizing. It contains a highly effective combination of surfactants, solvents and dispersants that enables it to provide corrosion protection in hydrochloric acid at temperatures up to 177°C. It works to reduce the corrosive attack by hydrochloric acid on metal surfaces. It does this by diffusing from the bulk solution to the metal surface and adsorbing onto the surface creating a protective film to limit the contact of the acid with the base metal. 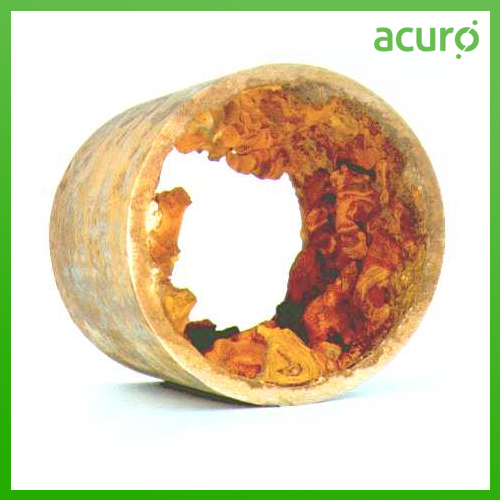 ACURO's HCL Inhibitor has been designed with health and safety in mind as it has a high flashpoint, is not regulated by TDG and contains no propargyl alcohol a highly flammable and toxic chemical that is often a component of other acid inhibitor products.